The Journey is the Destination…Do We REALLY Fail? So if you medal, you succeed, and if you do not; you failed. Your body has become the most incredible specimen on earth and you are in the top .0001 % in your particular sport compared to the rest of the world’s population but if you do not medal, you failed.. And what about those who win. They get their medal. Then what? When I left the acting world, after Kaitlyn’s diagnosis, you would be surprised on how many people asked me if I was sad I did not ‘make it’ as an actor? Make it? According to whom? Awards? Won a few, nominated for a few. Money? Made some. Not tons. Interesting that I qualify for a pension when I retire from Actor’s Equity, not a lot; but more than about 90% who will not get any. And I have worked with some REALLY GREAT projects over the years with the most talented people on earth. Did I really not make it? You see I learned a long time ago that the goals I reach for are every day. Some goals with a stretch to keep me growing but it’s the daily goals that are the most important and here’s the thing; they’re my goals. Not by the standards of others. My goals. When it came to our kids’ diabetes, same thing. Our goals. I did not compare to other people’s stories. We did not live by numbers, for numbers, and against numbers for any other reason but close control mean feeling better. Trying to stay away from ‘swings’ were for the only reason to feel better. Success, and some better days than others. We learned and we moved on. But the goal was to try our best each day. Because if you try your best each day, your goal is set and evaluated by working toward your best, and observing the perfect things already in your life. A child’s smile. A touch. A gesture. A good deed. Being with the people around us. You know many….many loved ones are not with us anymore….would they not think that just having the ability of one more day a HUGE SUCCESS? Many times when I travel, if I am at a restaurant I surely cannot take the ‘leftovers’ back with me to my room. I ask for a box and pack up what I did not eat. When I leave, I leave the box by a homeless person, and walk away. It makes me feel really good. What was the effort? Zero. Do something for someone….smile on face, goal reached. My point is that the world is harsh on how we look, what we do, what we don’t do; but yet how much does the world give us to succeed?………so why let the world dictate on whether or not we are successful. How much are you succeeding at that is going right by you. Set a goal today, small as it may be. And go for it. Notice the goals you do reach. The majority of us do not have that ‘drive’ to become a Professional or an Olympian and I applaud those who do. But honestly, I would rather work toward something each and every day that I CAN achieve than to lay it all on the line to have ‘failed’ and need to try for another fours year to ‘try again’. I’ll take a lot of little reached goals reached daily thank you, and will try tomorrow again. A lot of ‘littles’ make a life. Think about it. When Did Insulin Enter the Oil Market? Rising Costs Seems that Way. Have you ever seen a story in the news about the rising cost of oil prices? Usually a photo of men hovering together as if to show that they control the price per barrel and the rest of the world can only watch and wait…..and bear the brunt of whatever decision is made. You’ve seen it, right? The cry came forward from administration to administration how we had to be less reliant of foreign control of oil prices. It impacts us all. It’s a scary thought when we are confronted with the fact that a few are making a decision impacting many. Because of this impact, it garners the attention of the news media. What? And who do you think pays this? Answer, us. It’s not as if there is a shortage. The American Diabetes Association states on their webpage; “ All insulin available in the United States is manufactured in a laboratory, but animal insulin can still be imported for personal use.” (Cite: Click Insulin Basics). Now to me, I take it that there should be a fairly limitless supply as long as the manufacturing equipment has the materials needed. I’m pretty sure they do. So if there is enough to make what is needed, why the rise in cost? This rise in insulin cost, to me, is just because a few companies control the substance that keeps people alive. They can dictate the prices because it’s not as if there are a million brands that would keep the consumer cost to a minimum, so much for consumer choice. It’s because you have a choice of only a few. Demand dictates cost. With over 29 million people with diabetes and millions of those on insulin with only a few choices…….well that equals what we are now facing. Glut. Greed. Money. Costs escalating. But when people are prolonging their insulin doses by cutting back on what they feel ‘they absolutely need to have’ due to high costs, as oppose to what the doctor, recommends, and what the patient knows they need; ladies and gentlemen—-this is a real problem. This could cost lives. Keep your eyes open on this topic. When you see advocates asking for actions, act. Join dPac today. 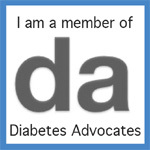 If you have diabetes or a loved one with diabetes, this is site you might want to follow as they do an incredible job on ‘acting’ in all fields of diabetes. DPAC was co-founded and is run by patients with diabetes: Bennet Dunlap and Christel Marchand Aprigliano. Joined by other diabetes patient advocates the Diabetes Patient Advocacy Coalition (DPAC) is an alliance of people with diabetes, caregivers, patient advocates, health professionals, disease organizations and companies working collaboratively to promote and support public policy initiatives to improve the health of people with diabetes. DPAC seeks to ensure the safety and quality of medications, devices, and services; and access to care for all 29 million Americans with diabetes. Insulin is not oil. It would be a shame if these costs are controlled in a board room. I fully understand free enterprise….but when a ‘controlled market’ of people are paying too high a cost to JUST stay alive…..someone needs to step in. People will die. YOUR LAST CHANCE IS TODAY—-Do You REALLY Care About Those who Died????? Okay, I admit that the title was a bit much…..but so many who should be involved in this have yet to do so. AND THIS IS SO IMPORTANT. Remember your anger reading about the so many who have died, or became seriously ill, because their diagnosis of T1D was missed? Kycie, Little Reegan, and so many more…..remember? How angry are you? Angry enough to do something? For the first time, there is an attempt to capture as much information and data as possible regarding this issue and YOU CAN HELP. This is YOUR LAST CHANCE to be part of history because tomorrow……the survey is done. Today is the last full day. Because of the requirements of his survey….you must become a member of Glu. It is a great site asking great questions all the time…..you can choose to be part for as much or as little as you want; and for as long as you want, but to give this survey credibility, it is required by the ones who gave it an IRB Approval. (Institutional Review Board). Go to www.myglu.org. I purposely do not have a direct link from here to their site because if there is a link through ‘my cookies of my computer’ the survey will not be available because I took it already. Once a member, go to the right side and click ‘My Diagnosis Story” and take the survey. It is there that you can share your story. We REALLY NEED as many parents as possible so please consider it. The name I gave this movement years ago was a Child’s Cry for Change…..please help those voices be heard……take the survey today. Be counted. Thank you. Is Your Life Better…….Because of Diabetes? Now hold on for a second and stay with me. I have been at the CWD FFL conference this week and one of the speakers posed the question similar to what I asked in the heading. Because of diabetes my life is better……. My positive attitude is not changed, my incredible life experiences are not diminished, my spirit is far from broken……what I said is that I’m not giving diabetes the credit for anything….it has taken enough. Children with Diabetes is the product of Jeff Hitchcock saying diabetes will not do; but Jeff did that, not diabetes. Friends for Life is the product of Laura Billetdeaux saying diabetes will not do, but Laura did that, not diabetes. The JDRF is the product of the Ducat and Lurie Families saying diabetes will not do, but they did that, not diabetes. The DRI is the product of the Singer, Kleiman, and Mintz Famiies saying diabetes will not do, but they did that, not diabetes. Almost anything positive, and there are many, that has happened in my diabetes journey has happened not because of a disease that has its only existence to destroy anything in the path of creating life saving insulin producing cells; but rather from the people who saw diabetes for what it is and changed the course of history despite of what diabetes ‘wants to do’. But this is me. And as many things that are on my mind, I bring it out to you for discussion and for comments to create a dialogue. I still believe that people with diabetes are incredible and so are their caretakers (that’s you parents) and I’m inspired and amazed all the time. I’m constantly amazed when someone tries something new to make a difference, like Beyond type 1. I’m amazed at new technologies like “BAP” (that’s my acronym for the Bionic and Artificial Pancreas), the BIOHUB, new insulins, CGMs and so much more. But everything good that has happened has come from SOMEONE saying that diabetes in the state that it is in, just will not do. Why should we give diabetes the credit for that? Doesn’t it TAKE enough from us without us giving it more…..much less giving it CREDIT for anything? Think about it and chime in. 2016 Lisa Awards, A Family, Elected Officials, an Organization, and a D-Mom Blogger. YAY! So hard to believe another year has gone by. Each year around June (her birthday), in honor of my friend Lisa Carlinsky, I bestow my Lisa Awards — kudos to people who understand the power of one person. To people who, in their own way, changing the world just like Lisa did. My friend Lisa passed away in 2009, at the young age of 36. She battled cancer longer than any doctor thought she would. Through her life, I learned a hugely powerful phrase that will live inside me forever, along with Lisa’s memory: The power of one person. Here is a quick summary of Lisa’s story, before we get to the awards. She was diagnosed with cancer. Lisa and Mark (her husband, who is as close to me as any brother) shared their writings of her journey with a hundred or so friends and family members, all of whom were inspired by each word. People learned, shared, and were in awe of their strength and dedication. People who were not part of the inner circle started reading the blog posts, and those people became inspired. The hundred readers became five hundred. In no time, the number of readers rose to 1,000, then 1,500. Soon 3,500 people were following Lisa’s story at every turn, both the good and the bad. Lisa and Mark were so brave in the face of incredible hardship and they inspired others to do the same with grace and dignity, sprinkled with humor. A TV station found out about Lisa and they ran the story on the evening news of her incredible efforts to teach others. Millions heard her story and were inspired by the magic she possessed — the determination to live life and taste every last drop was shared with millions. So many others facing trials hit them ‘head on’, inspired by this young couple. Eventually what Lisa and Mark shared so openly, became a reality and she succumbed to the physical-ness of what cancer can do. Her spirit, though, was never defeated. The war would go on with Lisa and Mark’s teaching. Her “power of one” changes lives to this day. This column, surrounding Lisa’s birthday month, pays tribute to those who understand Lisa’s philosophy of the power of one person. Because I’m more versed with the happenings inside the diabetes community, my Lisa Awards are given to those people who live Lisa’s determination to make a difference with the “power of one” in the diabetes community. These people don’t do it — whatever it is — for only themselves, they do it because they think it will make a difference in the lives of those with diabetes. Lisa’s words live in these special people — they know and understand the power of one. The Family of Little Reegan. As I thought about this, and after meeting their family; each and every one of them played a role in making sure Reegan’s Rule became law in North Carolina; the first of its kind. Much has been written and many others became involved. But when there was no one around, when there was no one fighting the battle, when there was no one to help…..there was the Family of Little Reagan. They received a promise that their little girl would change the world. With the movement to stop missing the diagnosis of diabetes picking up steam, that promise will be fulfilled. This one little girl, the power of one, in her short lifetime may very well impact the welfare of kids around the world more than those who have many more years to achieve it. Representative Charles Graham and Senator Jane Smith of North Carolina. These two people could not be more different from their personalities to their political affiliations…..and yet….they reached across the aisle and worked tirelessly in the efforts to make Reegan’s Rule the law of the land. One has no idea just how hard it is go through the entire process in making an idea become law. The bipartisanship and the wisdom of these two elected officials are something the rest of the country should stand up and take notice. Each a power of one in their own right, came together to accomplish the impossible; on October 20th, 2015, Reegan’s Rule was signed into law by the Governor of North Carolina. Bravo to all who made a difference. GLU/T1DExcgange is my third Lisa Award Recipient. This organization is presently undergoing an incredible outreach to capture the data that could help present a roadmap of change in the years to come on the missed diagnosis of T1D. Anna Floreen, Dr. Henry Anhalt and Executive Director Dana Ball (and Co-founder of T1DExchange) are the ones in the forefront but here has been so much work done from people we will never know to make their newest survey regarding missed diagnosis a reality, that truly the fair thing to do is pay tribute to the entire organization. Many components making up the power of one to change the world we live in, GLU/T1SExchange embodies Lisa spirit as few others ever could. This data will indeed change the world. My fourth Lisa Award winner is D-Mom Blogger, author and super advocate, Leighann Calentine. 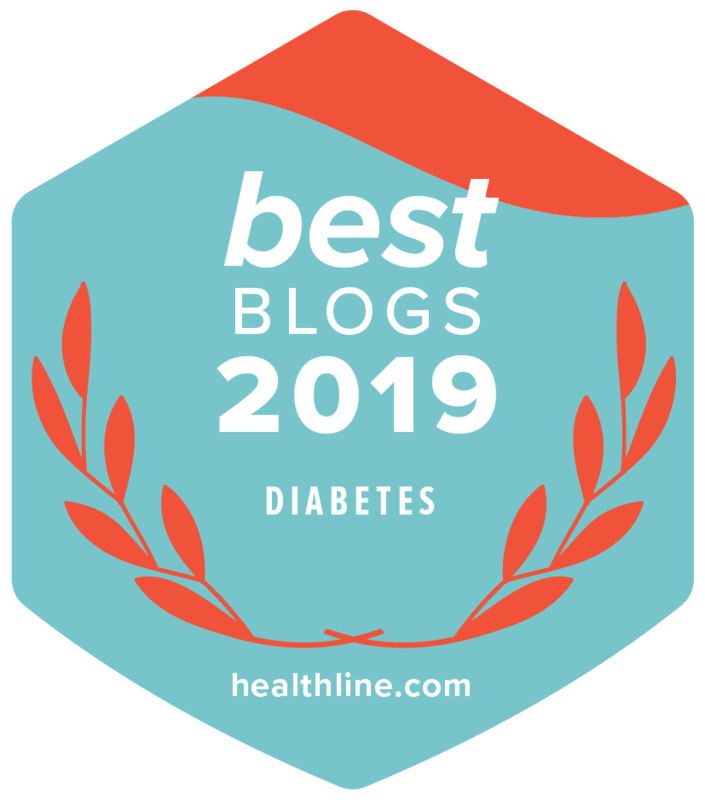 Her Kids First, Diabetes Second has always been and continues to be a must read and her blog should be visited as often as possible. Her wit, style, and direct-from-the-hip delivery will enlighten you, inspire you, challenge you, and let you on a little secret—-parents can really have a life outside this diabetes journey. She is as humorous as she is poignant. When reading anything she writes, one always feels like a really good friend has sat down next to you in the biggest easy chair to talk with you. And like a true friend, she does not always tell you what you want to hear; she tells you what is real. Her long list of awards and accolades are only surpassed by her huge heart to make a difference in our world. She is a powerhouse, and all done as Leighann would do it…..with integrity and honesty. So these are the Lisa Award winners this year. And as always when I write this annul column, it brings me back to a woman who I cherished. He son is growing-up to be a fine young man and in a wonderful way. Mark (my adopted brother), her husband, has found love again; as Lisa would want it. And life is moving on. But Lisa will always and in all ways be present. And in as much as I love doing this article every year, I still miss our friend, Lisa. She was some power-of-one.